Get outdoors at Atherton Tablelands and Shark Diving. Historic Village Herberton and The Crystal Caves are good opportunities to explore the local culture. 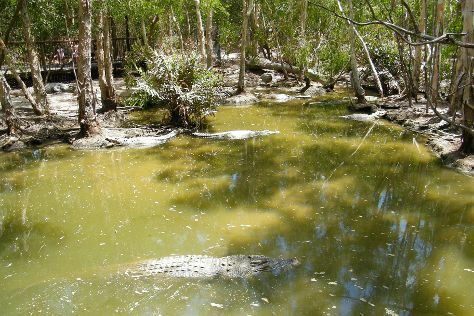 Explore the numerous day-trip ideas around Cairns: Port Douglas (St Mary’s by The Sea chapel, Sunday Market Port Douglas, & more), Cathedral Fig Tree (in Yungaburra) and Hartley's Crocodile Adventures (in Palm Cove). Next up on the itinerary: identify plant and animal life at Birdworld Kuranda, admire the sheer force of Josephine Falls, take in the exciting artwork at Doongal Aboriginal Art Gallery Cairns, and head off the coast to Michaelmas Cay. For more things to do, ratings, and other tourist information, read Cairns trip itinerary planning tool . Sydney to Cairns is an approximately 6-hour flight. You can also drive; or take a train. Plan for somewhat warmer temperatures traveling from Sydney in June, with highs in Cairns at 30°C and lows at 22°C. 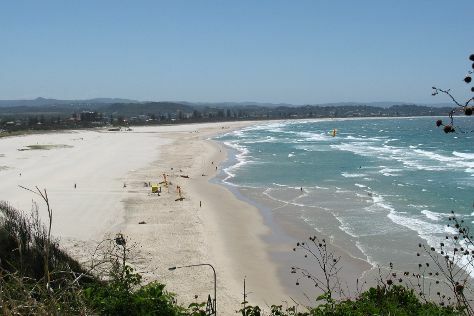 Wrap up your sightseeing by early afternoon on the 5th (Fri) to allow enough time to travel to Gold Coast. Start off your visit on the 6th (Sat): explore the striking landscape of Natural Bridge. Get ready for a full day of sightseeing on the 7th (Sun): explore the wealth of natural beauty at Burleigh Head National Park and then kick back and relax at Kirra Beach. To see traveler tips, other places to visit, more things to do, and tourist information, go to the Gold Coast tour itinerary planner . You can fly from Cairns to Gold Coast in 5.5 hours. Other options are to do a combination of flight and train; or drive. Traveling from Cairns in July, expect Gold Coast to be a bit cooler, temps between 24°C and 11°C. Finish up your sightseeing early on the 7th (Sun) so you can travel back home.